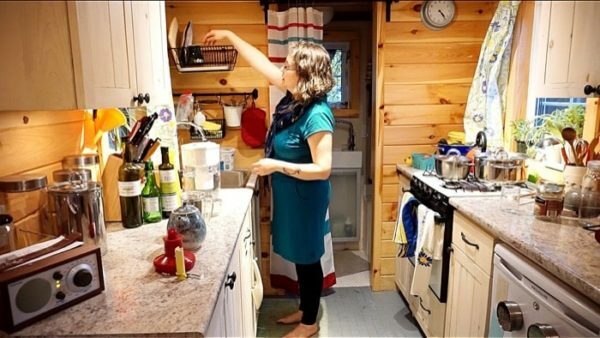 She’s not yet 40, but Natalie Wodburn-Héron has been around, having lived and worked in fully half of Canada’s provinces already. 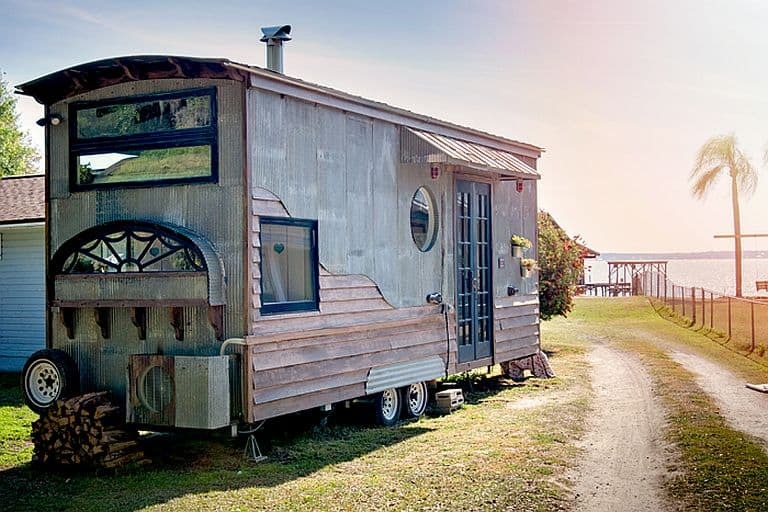 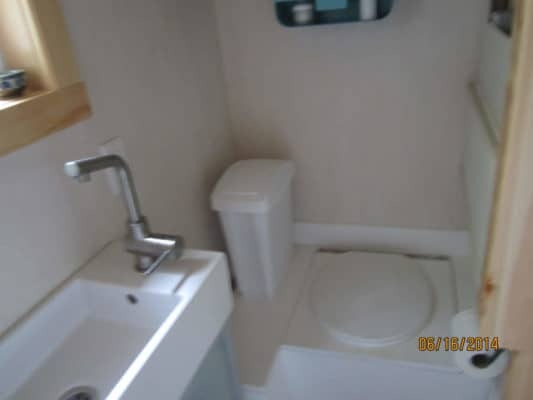 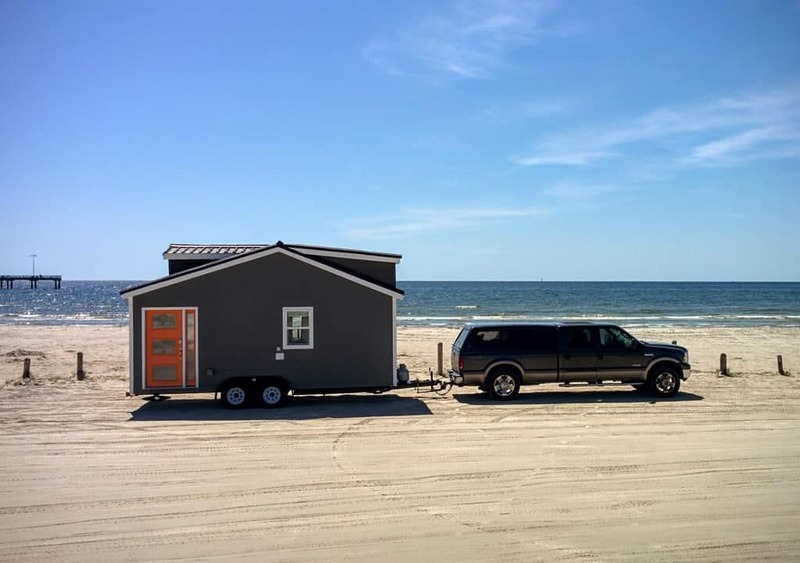 So mobility was certainly one thing she had in mind when she decided to build herself a tiny house on wheels a couple of years ago. 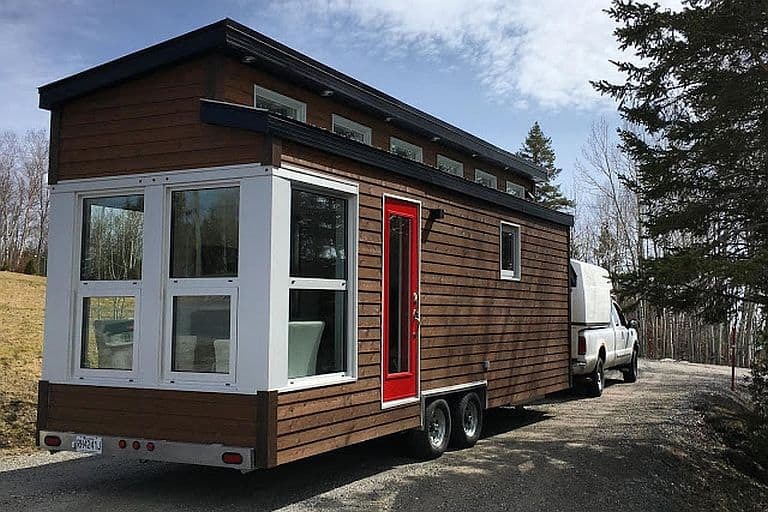 Besides that, she’s single, and making mortgage payments on a larger home was starting to seem both expensive and unnecessary. 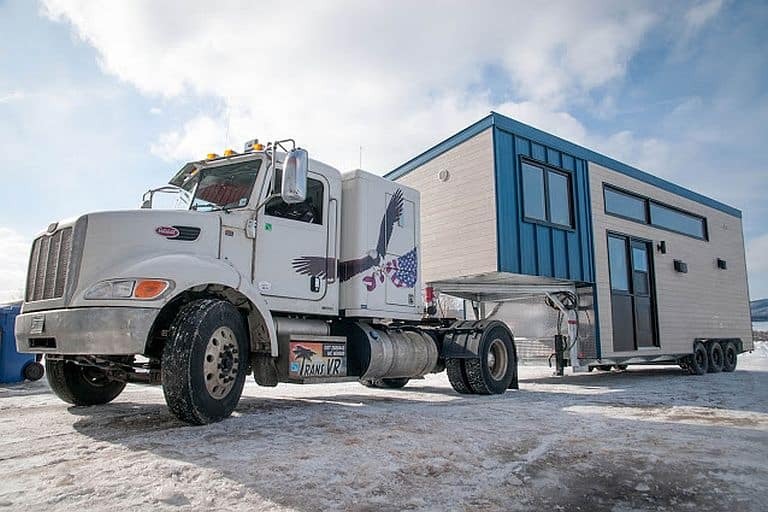 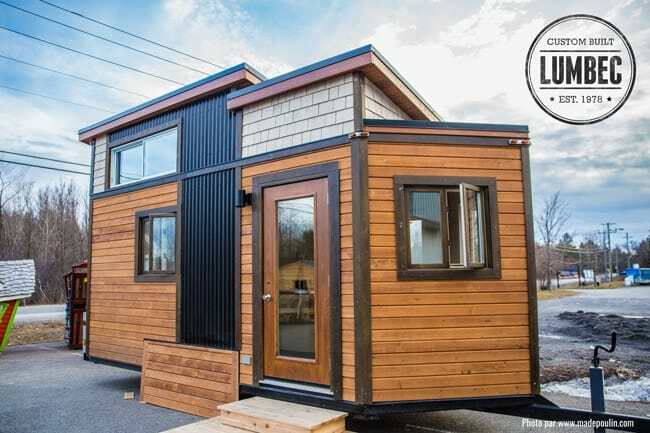 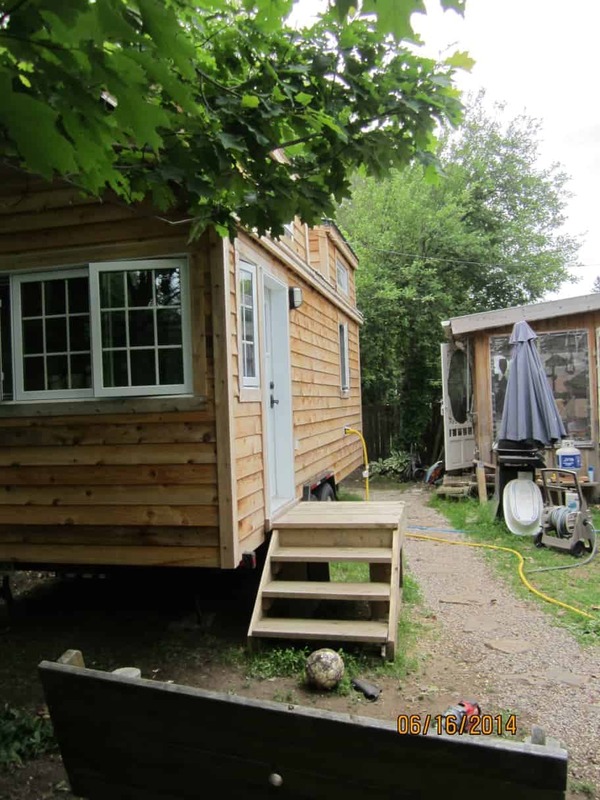 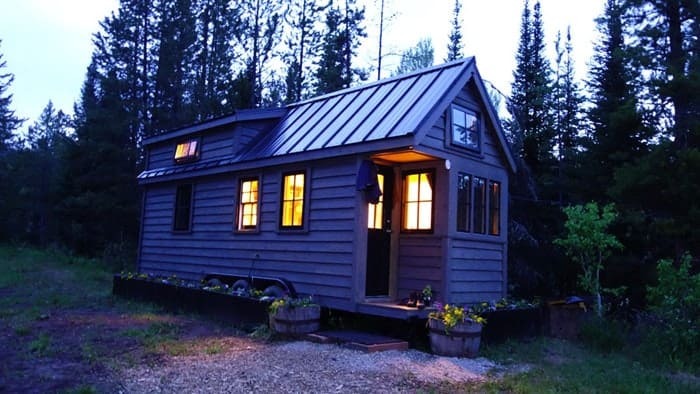 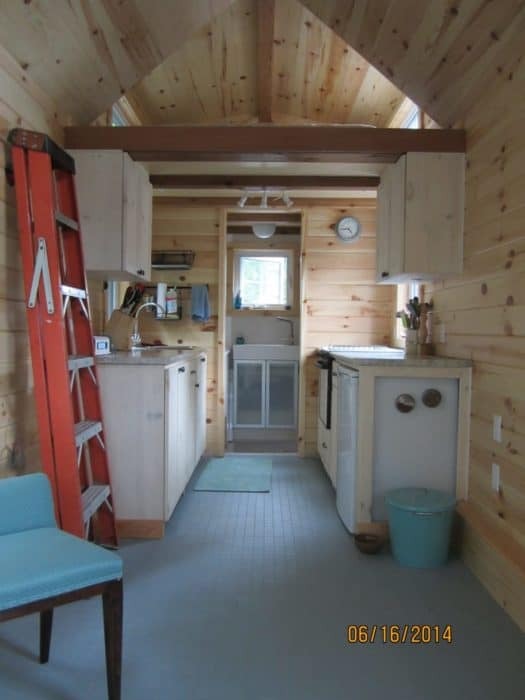 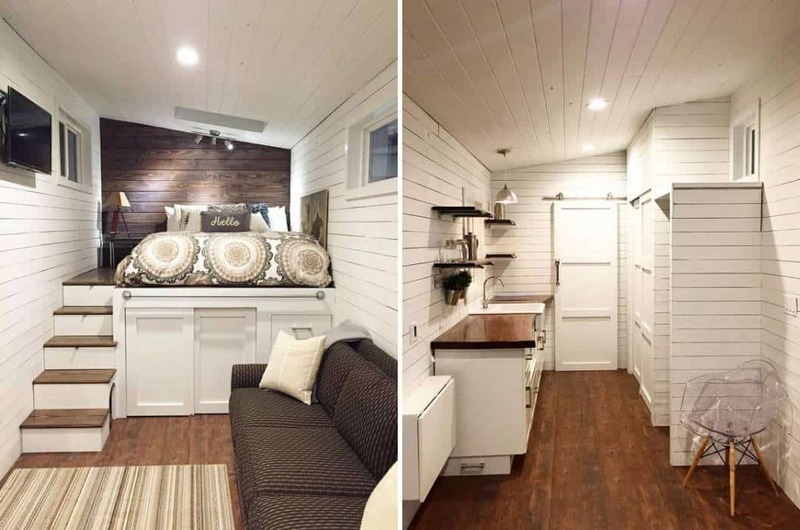 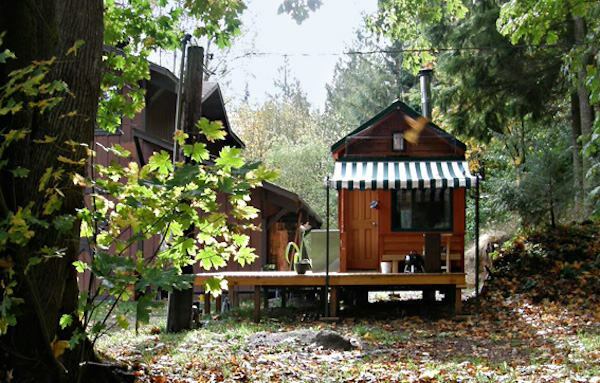 Natalie bought her plans from the Tumbleweed Tiny House Company and added electric floor heating and a heat recovery ventilation system (as well as a lot of extra spray foam insulation) to ensure that her tiny refuge would make it through the Canadian winter. 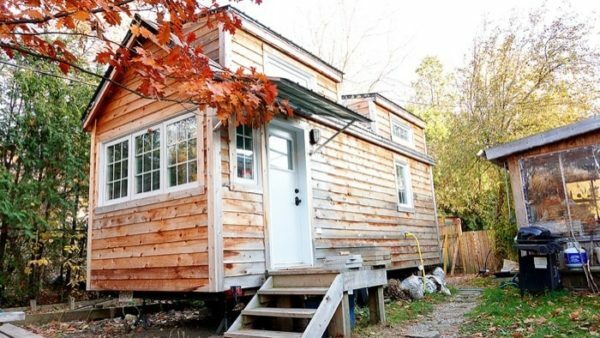 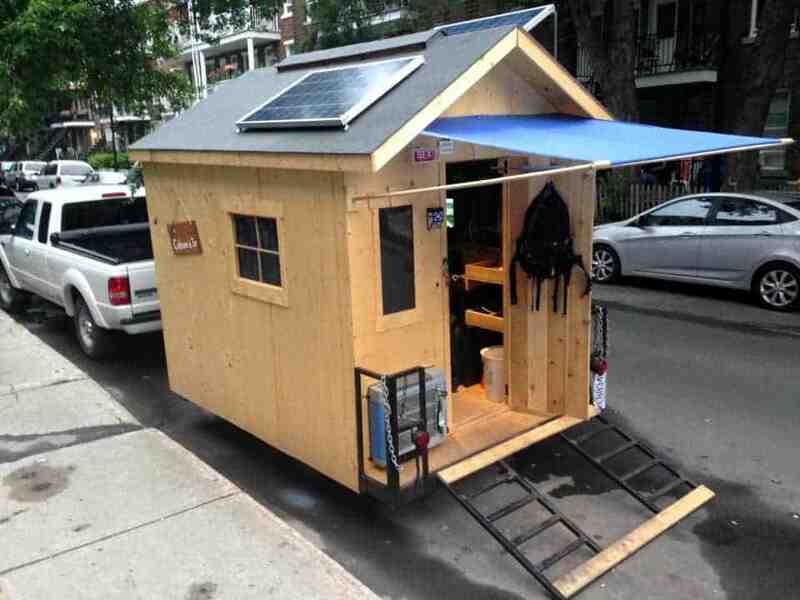 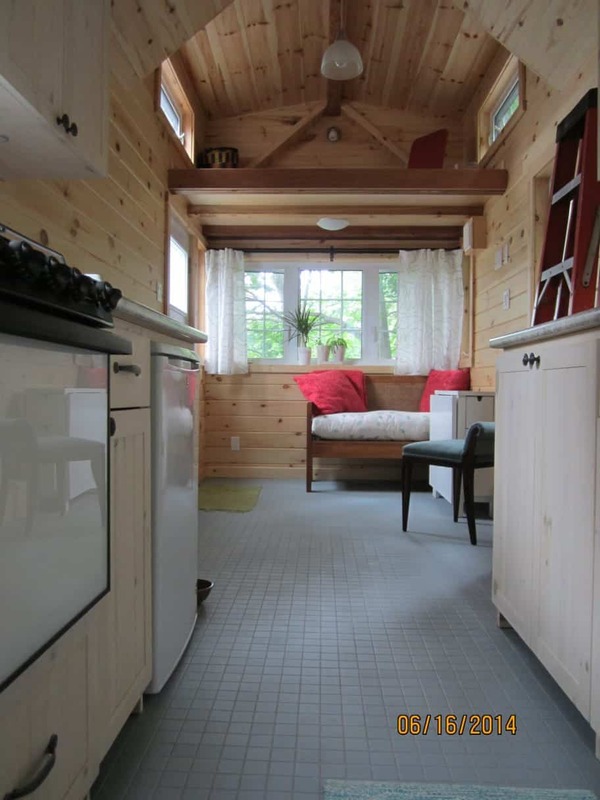 She built the 147-square-foot house under an oak tree on her parents’ driveway in Montreal and has been living in it for around eighteen months. 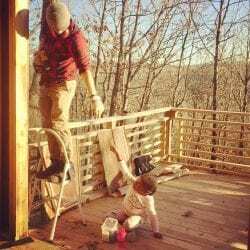 Natalie hired a local contract to help with the build and ended up going nearly 50% over budget – but still only spent around $36,000! 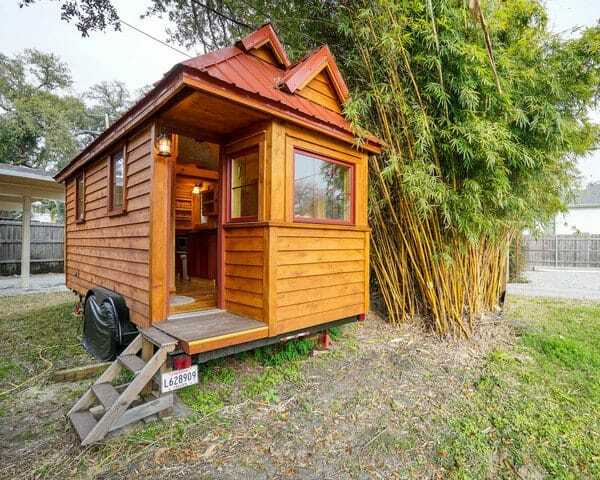 Not bad for a very nice looking home where she plans to spend the rest of her life… wherever that life happens to take her.